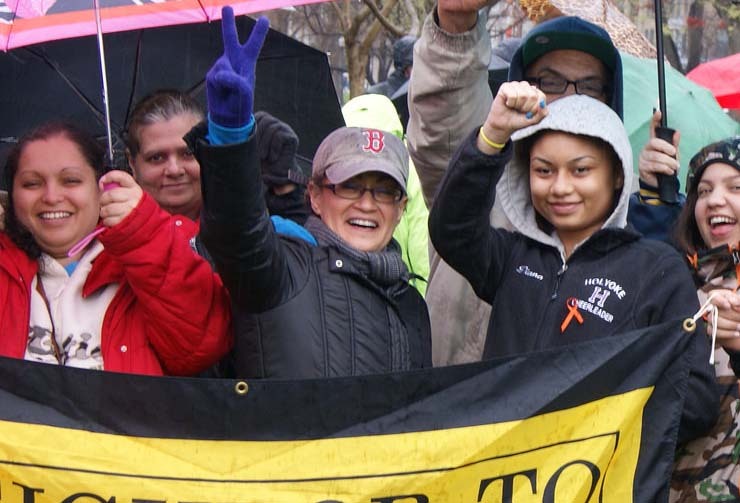 Boston is the support center for Neighbor to Neighbor’s chapters, keeping us connected to statewide coalitions and the changing political weather of the State House. Since the city of Boston already has brilliant grassroots organizations leading the work of economic and environmental justice, our Boston crew does not recruit a grassroots membership but instead sends resources and information from the capital out to our chapters in the gateway cities. If our chapters are the heart of N2N, Boston is the spine, strengthening our infrastructure and coordinating our many activities across the state to make us more aligned and powerful with every campaign.